Allison-Madueke, who is being investigated in the UK, had earlier urged the Federal Government to bring her back to the country to face corruption charges against her. 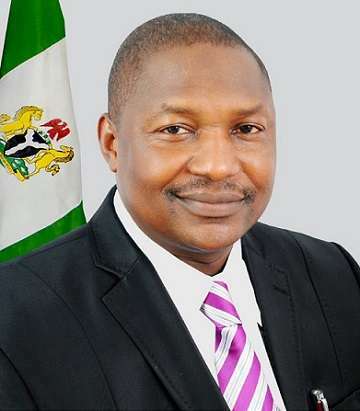 Malami, however, told State House correspondents in Abuja on Wednesday that bringing her back to the country would jeopardize the investigation being carried on her in the UK. “As things stand now, there is no need for that since the UK Government is already investigating her. “Government will not take any decision that will jeopardize what the UK government is doing,’’ he said. He said Madueke could request to be brought home for trial but that she should face her trial in the UK because the gravity of the offence she committed abroad was higher. He said: “Mrs Deziani Allison-Madueke is facing charges of money laundering and acquisition of properties in the United Kingdom. The minister further stated that the country was doing a lot in litigation and fight against corruption within and outside the country. “The truth of the matter is that government is doing something, especially on issues of corruption and litigation in Nigeria and outside the country,” he added.